Kaylee from the Imperfect Princess is giving away two of her dress-up aprons for two winners! Danita's Children is a non-profit organization with the intent of rescuing and caring for orphaned children, meeting their needs spiritually, physically, academically, emotionally. The organization in Ouanaminthe, Haiti currently has 133 orphans living in two homes. A school provides an education to nearly 550 children and 18,000 meals are fed each month through the feeding program. A medical center and hospital for children are currently under construction. My sister-in-law Heather cares for the few special needs children and has started their preschool program. The special needs children attend the preschool program with the other orphans to teach care and tolerance. One special little girl caught some crafty inspiration string inside of me. She has a head size that makes it hard for clothing items to go over her head. I wanted her to play dress-up with the other preschoolers, so I designed dress-up aprons. The ease of taking the aprons on and off to change character is a big hit with my stay at home mom friends too. The sales of the aprons allow me to make and get more items that Heather needs that could not fit into our family budget. Well if that isn't a worthy crafting cause I don't know what is. 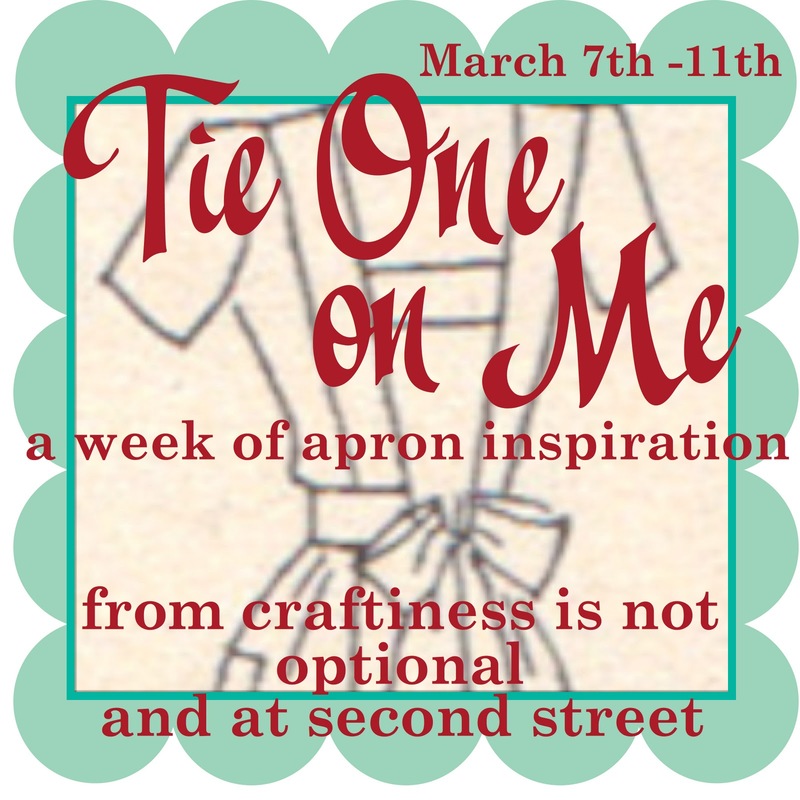 So to enter: Head over to her Etsy shop, browse around a bit and come back and tell us which apron you'd like if you won! (don't worry you can always change your mind later if you win) Please leave your email address in the comment so we can contact you if you win. Giveaway ends Sunday March 13 at 10 pm MST. 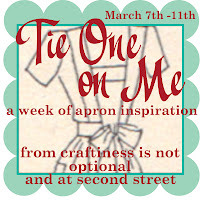 Enter the Jessie Steele Apron Giveaway HERE, and Jess's apron pattern giveaways HERE. princess and the frog. my daughter loves tiana! I would get Belle. My daughter wishes she were Belle. Belle! I love Beauty and the Beast and hope my little one will too! I think my little girl might like Ariel or Cinderella the best, but I can't help it, I'm drawn to the Red Riding Hood one! I like the Cow Apron or the Princess and the Frog Apron! I can't decide between Cinderella and Belle. I like the Red Ridinghood apron and I know my granddaughter will love it. All the aprons are cute and live up to their names - so sweet! I love the red riding hood apron! So cute!!! I love the sleeping beauty apron. My daughter would love it! My 3yr dd fell in love with the Sleeping Beauty Apron! Win or not, these are beautiful and we will be getting a few for dd's birthday this year! I love the Red Riding Hood one. The Ariel one (or maybe the Red Riding Hood one!) --these are adorable! LOVE the Dorothy Apron. Wizard of Oz is my favorite movie! I love the Red Riding Hood apron the best. So cute!